The Great Fishing Houses of Ireland are twelve of the finest fishing establishments in Ireland. To be featured in this group, they all have met the most stringent standards and have the premises, the fishing, the facilities and the staff to offer a truly complete angler's holiday. Accommodation ranges from homely guesthouses, to sporting hotels, or country mansions. All are run by people with a keen, personal interest in the sport or who have enthusiastic fishing specialists on their staff. You will be pleasantly surprised at the very reasonable cost of fishing holidays in Ireland, compared with other locations in Europe. This guide offers wonderful variety – so you can choose the Great Fishing House which best suits your fishing interests, your holiday style and your budget. The prices shown are per person sharing a twin/double room. The range is from the cheapest room in low season to the most expensive in high season. Breakfast is included. Single occupancy supplements may also apply. Most houses offer private or en suite bathrooms, unless otherwise indicated. Some houses offer a full restaurant service with your party sitting at its own table. In others, everyone eats together at a large table, perhaps with a set menu. All Great Fishing Houses have a wine licence unless otherwise indicated. Prices quoted in this guide include all taxes. Some houses quote an additional service charge while others leave tipping to your discretion. Please check individual entries. Each house has its own policy on booking deposits and cancellations. Please enquire before making your reservation. All reservations are contracts between the reserving party and the individual house, Great Fishing Houses of Ireland accept no responsibility or liability for any dispute arising. Most houses accept Visa and Mastercard. Some also accept American Express and Diners Club. Please check individual entries. Many of our houses offer fishing on private waters, for which there is a charge. In other houses the fishing is free, but there is a charge for boat hire. All fishing prices are per person per day and, if using a boat, are usually based on double occupancy. The price range shown is from low to high season. Ghillies are available for an extra charge and are sometimes shared by two or more anglers. 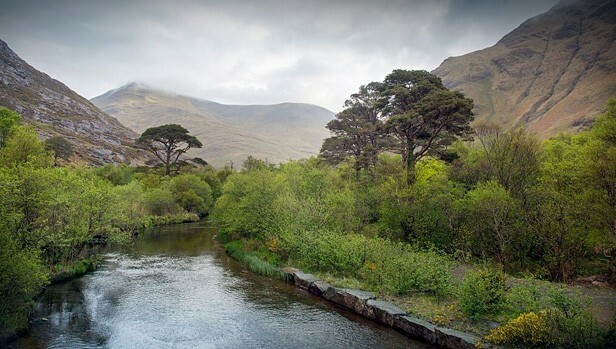 In Ireland, it is necessary to carry a State licence and fish tags if fishing for salmon or sea trout and these may be purchased at or arranged by each house. Throughout the fishing season, many of the fisheries provide regular reports on the conditions and catches in their home waters.